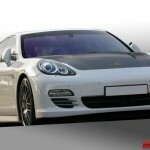 German Tuner DMC just announced its official performance and styling package for the Porsche Panamera. 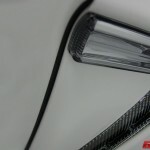 The set contains aerodynamic components and an engine tune-up. 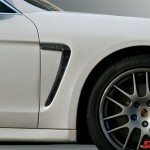 The exterior body parts stay loyal to the designer’s “Simple yet Dynamic” vision. 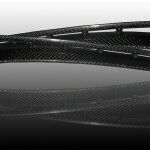 All components are manufactured from 100 percent pure carbon fiber. 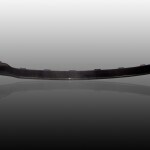 The front lip spoiler not only reduces the lift on the front axle, but also adds an aggressive look to the Panamera‘s appearance. 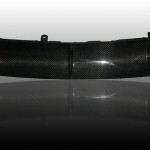 The side grills showcase the company‘s skill at manufacturing carbon fiber, which is also found on the rear diffuser. 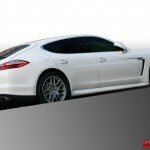 It supports the driving stability by improving the air-flow and the looks make the Panamera stand out in the crowd. On the engine side, DMC is now offering a package that improves engine power and torque. The stock 4.8 liter twin turbo engine with 500hp is increased to 580hp with the OEM integrated sports button. Engine torque is also increased from 516lb-ft to 605lb-ft. Additionally, in normal engine performance mode, power is increased to 550hp and 575lb-ft respectively.